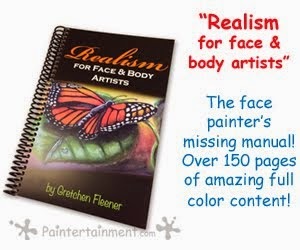 Paintertainment: Learning to Face Paint: Where Do I start? 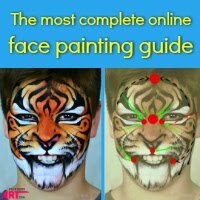 Learning to Face Paint: Where Do I start? 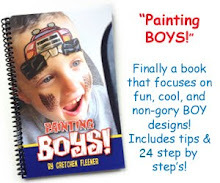 Need a little help getting started face painting? Been asked to face paint at your church or school event and you just don't know where to begin? This blog post is for you. 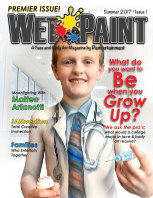 I've been face painting professionally for over 19 years and love helping others learn how too. What Supplies Do I Need to Get? It is easy to get overwhelmed with all of the products available on the market today. 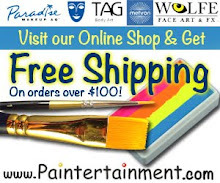 The most important thing is to make sure you get quality paints that are specifically designed for skin. For a really easy way to get started, check out our "Smile Painter Set" package deal, which includes quality makeup, brushes, a design sheet and a book full of tips and tricks! But if you're interested in picking out all of the supplies yourself individually, read on for some suggestions and advice! Safety should be your TOP deciding factor, not price. Stay away from cheap craft store paints made in China. Never, EVER use craft paints or acrylic paints on skin! Here's why. "Non-Toxic" does NOT mean safe for use on skin! Check out this blog post for more information on how much paint is needed, and how long it will last. For someone starting out or just doing a small event here and there, I would recommend a multi-color palette. These sets enable you to try a variety of colors without spending a fortune. When you run out of a color, simply purchase a refill and keep using your set for years to come! Or, if you plan on using a lot of certain colors, you can purchase larger cakes of colors individually that will last a LONG time! Are you doing mainly smaller designs known as "cheek art?" I'd recommend a #1 and #4 round brush for you. Synthetic fibers will be more forgiving for beginners. Use the #4 for your main color areas, and the #1 for outlines. Are you doing larger designs like full-faces or masks? Get the above PLUS a larger flat brush and/or sponges. Most artists cut the round sponges in half, and use the flat sides. If you plan on using sponges, get a spray bottle to wet them with. NEVER leave your brushes sitting in rinse water. Check out our brush storage and rinsing tools! Short handled brushes are easiest for storage & face painting. All of our brushes have short handles. Planning on using powdered makeup instead? Foam lollipop blenders are great for just $0.49 each! You will need some designs for the children to choose from that you are comfortable painting. I prefer to use a board or sign that is on display so that everyone in line can see it and have their design chosen when it's their turn. Start by displaying only designs that you are comfortable painting. I have several heavily laminated design sheets available that work great...they are small enough to put in your tote bag of supplies, and sturdy enough to wash off at the end of your event! Never painted before? Then I'd recommend getting my companion book of full-color photos showing you how to paint every design on my Classic design sheets in 6 steps or less! If you'd like to design your own menu and don't want to tie yourself down to an exact image on a visual menu yet, we have a service just for you. 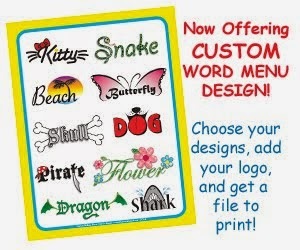 Choose the type of designs you'd like and we will create a custom word menu for you to print out! Glitter: Not a requirement, but glitter sure does add a lot to a design! ONLY use glitter that is approved for cosmetic use by the FDA. Metallic craft glitters can scratch the cornea and are extremely dangerous! Rhinestones & Adhesive: Definitely optional, but if you are doing a fancy princess party, they are a HIT! Split Cakes: If you're familiar with one-stroke painting, rainbow cakes can really add that WOW factor in little time! 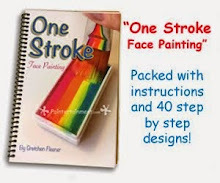 If you're not familiar with this technique and want to learn, check out our book, "One Stroke Face Painting!" Mirror: To show the kids the finished product. Bring an extra in case it breaks! Or better yet, get an unbreakable mirror. Wet wipes: In case of mistakes and to clean your hands. Makeup remover wipes work especially well! Water jar: To rinse your brushes and wet the paint. We sell a variety of great brush tubs with ridges in the bottom, which really help get your brushes clean! But to be honest, you can get by just fine with any old jar or cup of water! How Do I Learn How to Face Paint? Feel free to email me any time as well! I love to help fellow artists!